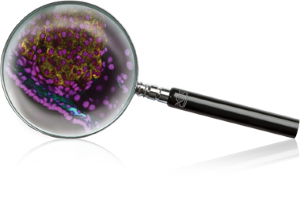 Need Highly Relevant Models to Further Your Dysmetabolism R&D Program? Various animal models have been used for understanding obesity mechanisms and discovery of novel therapies. NHPs have better pathophysiological similarities to humans, and provide important information relevant to human obesity. NHP models also play an important role in the screening of novel compounds for regulation of food intake, blood glucose, and/or body weight, which can result in discovery and validation of new mechanisms and therapeutic strategies or targets. Naturally occurring and experimentally induced disease models. The naturally occurring NHP obesity model is by far the most predictive model system for human metabolic syndrome, exhibiting in adulthood clinical features of obesity, insulin resistance, dyslipidemia, diabetes, and pancreatic pathology that are similar to those observed in humans. Evaluating drugs in such models offers tremendous value towards understanding efficacy, PK/PD relationship, biomarkers, and possible adverse effects. Combined with high calorie (fat) diet (HCD)-induced models, our NHP models of obesity are a highly valuable resource for research and development in a variety of dysmetabolic conditions. 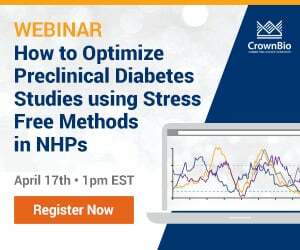 Thanks to the availability of large colonies of spontaneously diabetic NHPs at CrownBio, we were the first to evaluate the effects of HCD on metabolism in normoglycemic, prediabetic, and diabetic NHPs, providing initial information for those researching the effects of diet in animals with various metabolic dysfunctions. Contact us today to discuss your project needs and experience the value of our expert service.